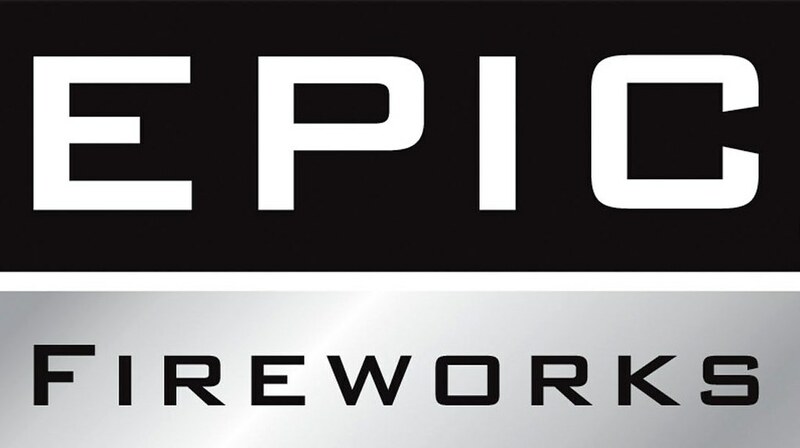 Epic Fireworks is the UK’s No.1 supplier of 1.3g fireworks. What’re 1.3g fireworks? ANSWER: 1.3g fireworks are the most powerful fireworks that consumers aged 18 or over can legally buy in the UK. 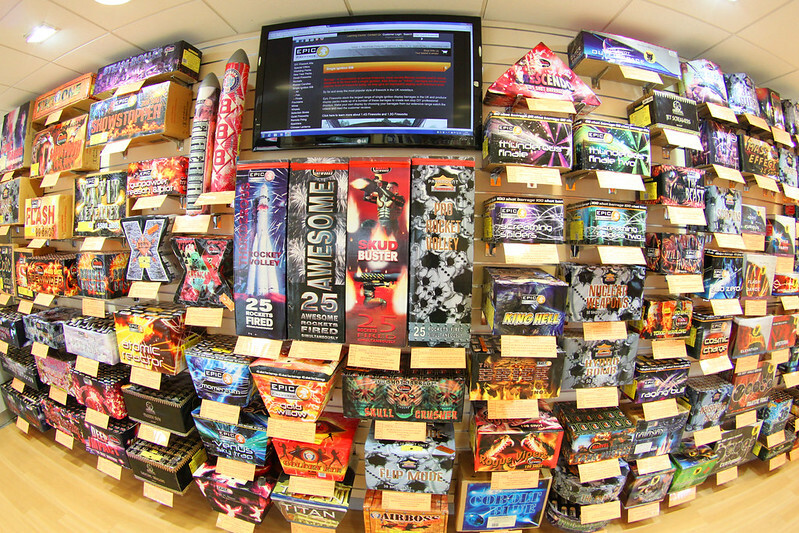 Typically, supermarkets and other firework shops sell 1.4g fireworks where they are limited to 5% powder. Our 1.3g fireworks are 5 times more powerful and contain up to 25% powder which is far superior in terms of performance. More information on 1.3g Vs 1.4g fireworks can be found here. 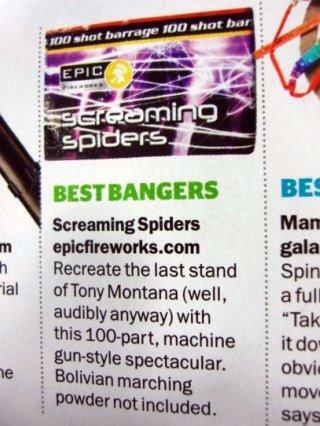 Over the last couple of years we have been reviewed in a number of national publications including FHM, Wired Magazine, theLADbible, the editor of the UK Fireworks Review, Front Magazine, Men’s Health Magazine, Sorted Magazine, the supplement ‘Live’ in the Mail on Sunday and recently our fireworks featured in EastEnders and Lana Del Rey’s music video ‘Blue Jeans’. 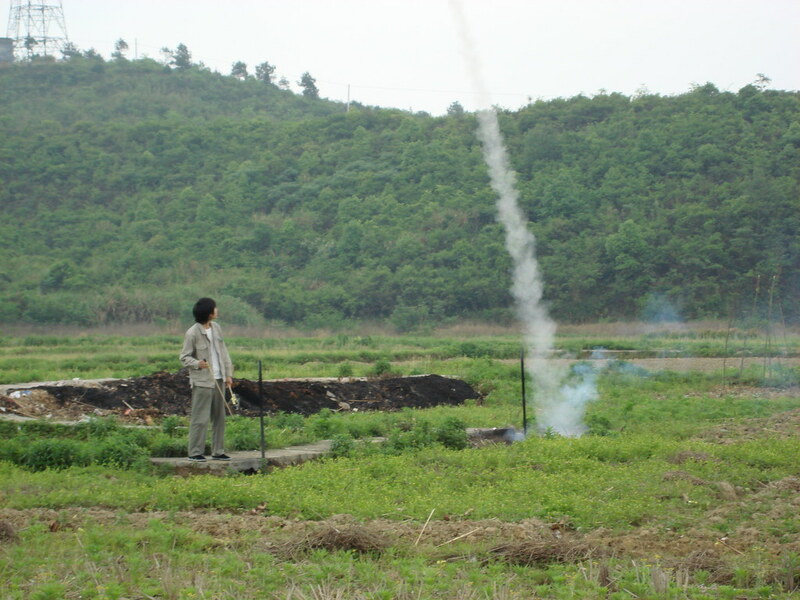 We buy our fireworks from the very very best firework factories in China and make over 5 trips a year to China to ensure the quality, consistency of product, compliance of British Standards and to make sure that production meets our exact standards. All our fireworks are half price or less. How can we do this? ANSWER: We buy in bulk so you don’t have to. Every year we go through over 100 containers of fireworks from China and our buying power allows us to sell all our fireworks at half price or less. Simples. We are open 7 days a week all year round. 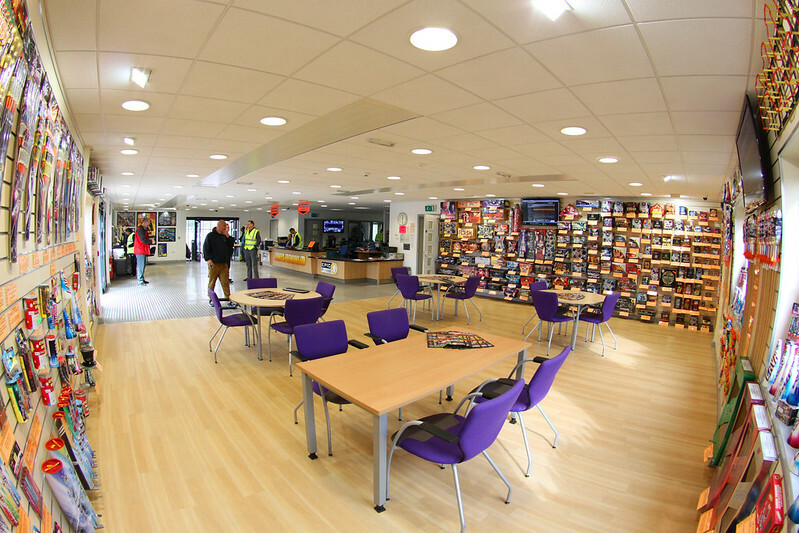 Many of our customers will travel over 300 miles to come and visit us and sometimes our customers can only visit on Saturday or Sunday due to family/work commitments. 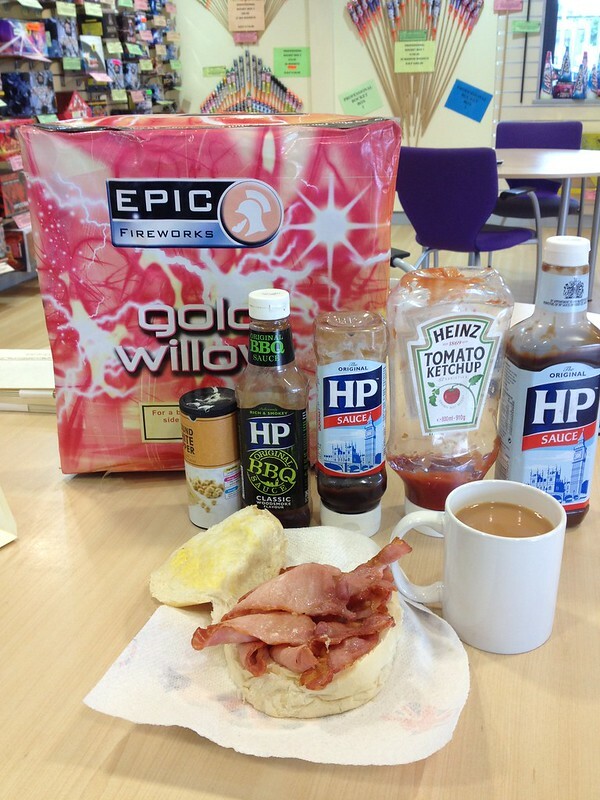 Being a family run business, we are very flexible – sometimes our customers turn up at 0600 in the morning or 2030 at night, if you are visiting very early or late, get in touch and we’ll make sure somebody is here to serve you. “Great oaks from little acorns grow”. Jimmy the MD started selling fireworks back in 1987 out of a small 10 foot by 10-foot shipping container. Year on year the business grew, grew and grew. ‘Word of mouth’, ‘top quality products’ and ‘our half-price fireworks policy’ were the biggest contributors to the rapid growth and success. 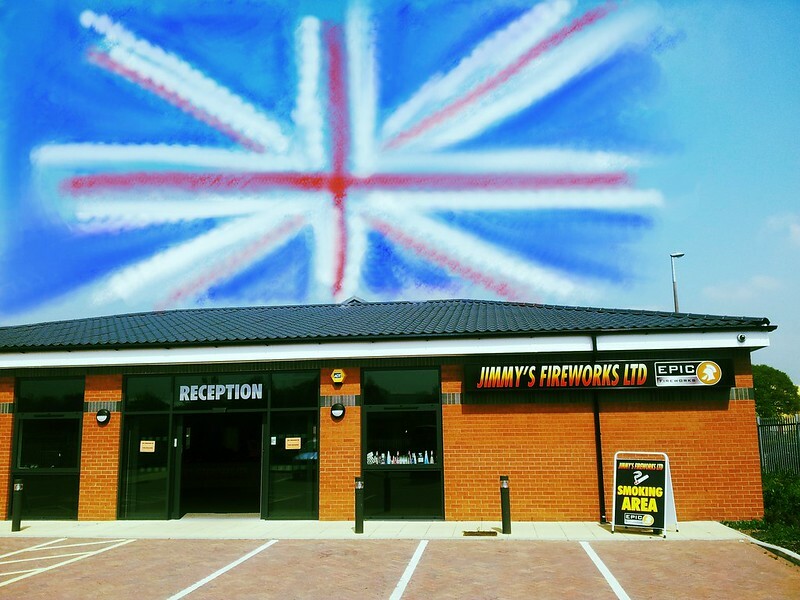 25 years of hard work and we are now officially the biggest fireworks shop in Britain. Back in 2004 Jimmy bought and developed a multi-million-pound 5-acre site. The Health & Safety Executive granted Jimmy a 30-ton explosive licence – YES 30 tonnes of gunpowder can be stored on site to fulfil demand. 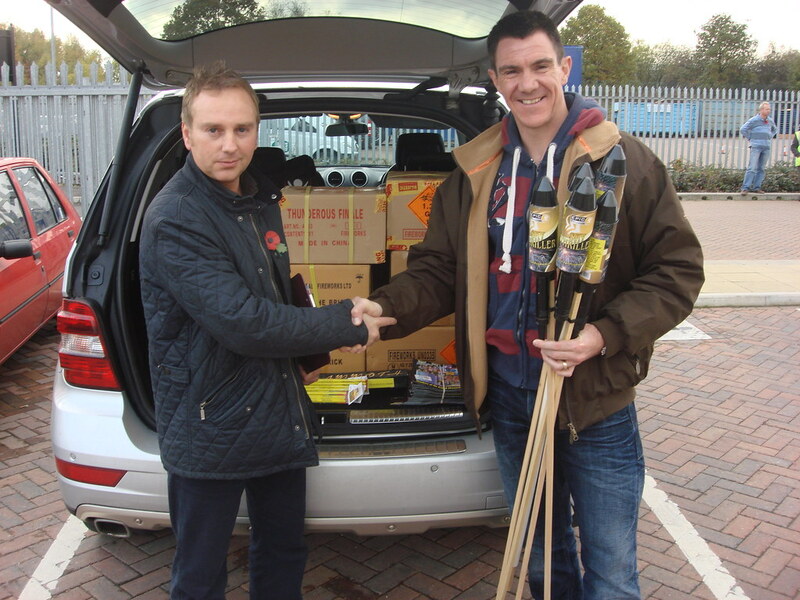 We have the biggest bespoke fireworks showroom in the UK with free secure on-site parking for over 300 cars. We started many years ago as a family business – and shall continue as such to ensure that our costs are kept to a minimum and personal service is retained. 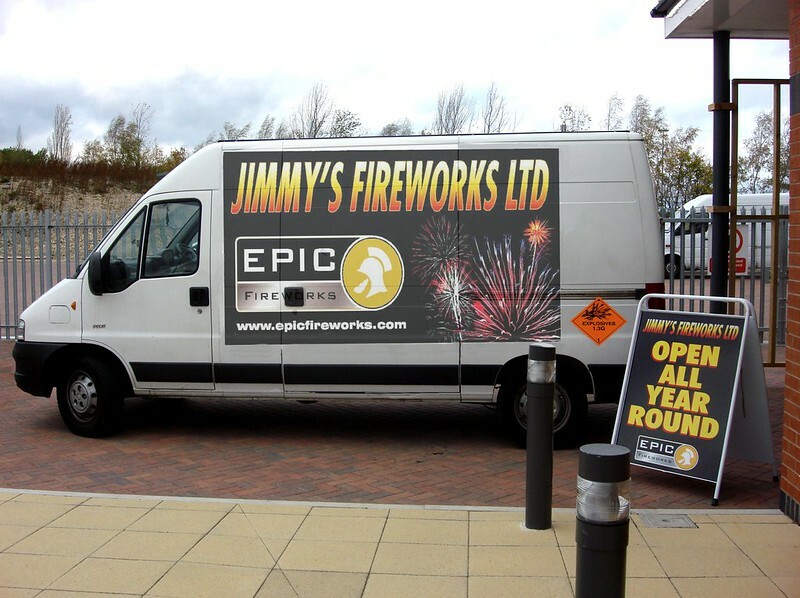 We have our own fleet of vehicles to deliver our fireworks all over the UK which gives us more control and ensures a first class delivery service. All our delivery drivers are ADR trained to carry explosives and we make over 6000 deliveries a year. 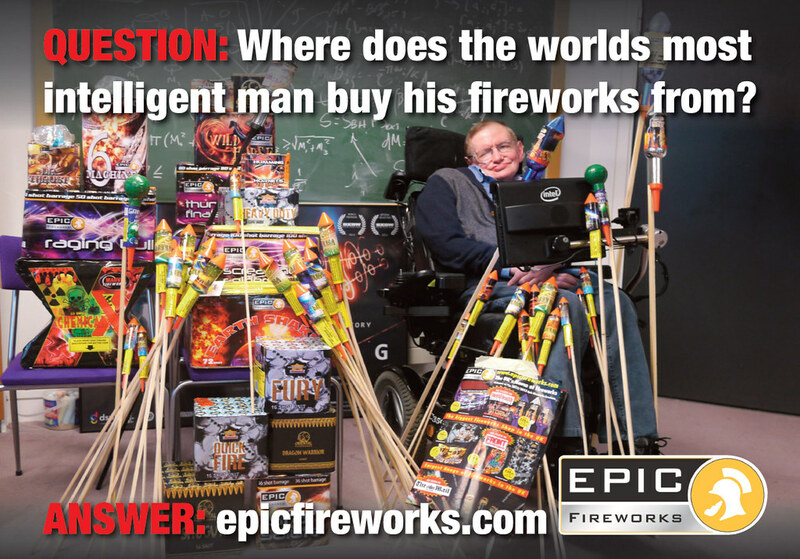 The World’s most intelligent man – Stephen Hawking – is a loyal epic fireworks customer. 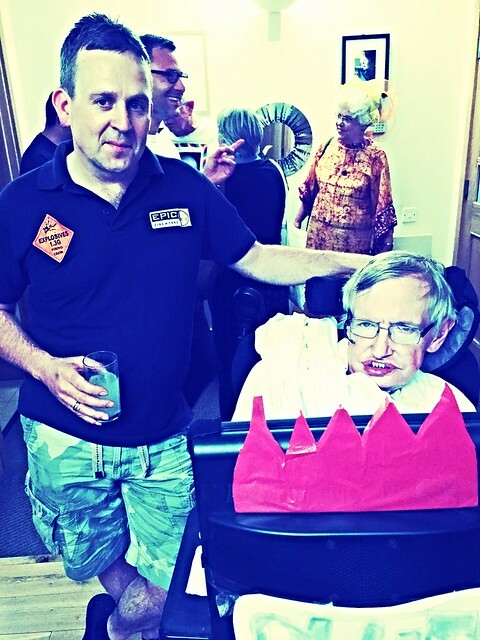 Professor Hawking is an astrophysicist at Cambridge University and is internationally acknowledged as one of the greatest and most intelligent men of our time. As a child, he and his family used to make fireworks in their greenhouse. 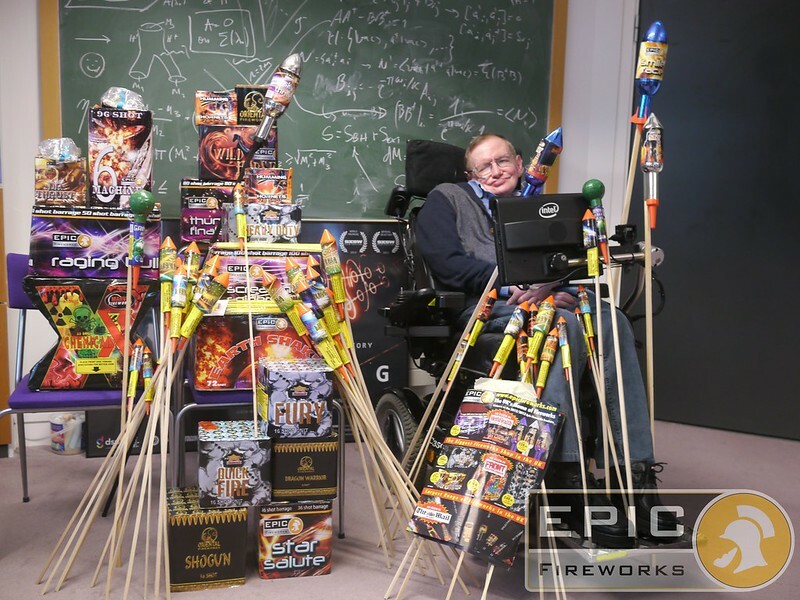 He continues to have a fascination with pyrotechnics and regularly orders from Epic fireworks along with many other world famous celebrities.